Life on the floor of a manufacturing facility is hectic. There are deadlines to meet, quotas to reach and every day brings new problems to solve. For many managers just keeping up with production schedules and overseeing employees is a huge challenge. Add the regulatory complexities of the Resource and Recovery Act of 1976 (RCRA) and operating within the scope of hazardous waste compliance and now you have an overburdened staff. The mindset for many companies is that employee productivity and producing goods take precedence and thorny hazardous waste compliance issues can be easily put off until tomorrow. Someone monitoring the EPA, Department of Transportation and DTSC to stay current to changes in the law. Regular process review to ensure that your operating procedures are current and within regulation. Our experience is that many companies even those known for cutting edge facilities and efficient processes, have holes in the hazardous waste operations. Many are utilizing outdated operations manuals (some that haven’t been updated or reviewed since Ronald Reagan was President) and utilizing procedures from a bygone era. For large companies that operate facilities in multiple states, the regulatory burden is compounded. What passes in Texas or Arizona, may not fly in California and vice versa. Experienced technicians who are current on both the federal and state laws can pinpoint areas of concern and provide cost effective and simple solutions to hazardous waste violations. Many times the solutions require only minor changes in procedure and can provide cost savings to the company. Like going to a routine checkup at the doctor, pinpointing areas of concern before you have a DTSC inspection is good business practice. The alternative can be catastrophic. Regulatory fines, legal battles and costly fixes are just some of the unwanted consequences of operating in the dark. The last thing that you or your company wants is unwanted attention as a hazardous waste violator like these guys. 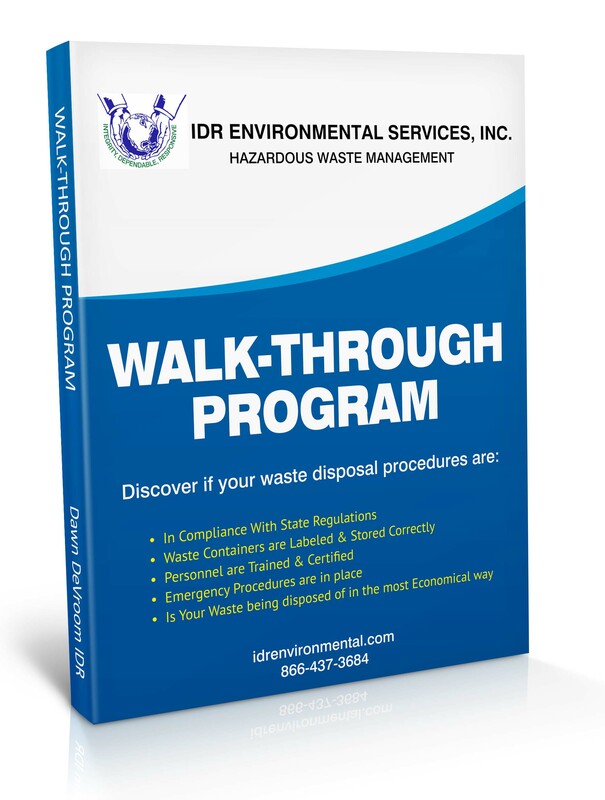 If you are just beginning your research on hazardous waste management or you are an experienced manufacturing company evaluating your operations, a great place to begin your research is to download a copy of our eBook, “The Top 10 Hazardous Waste Violations and How To Avoid Them.” In it, you will find the most common sources of regulatory fines. Knowing how to identify the potential problems with managing hazardous waste can be costly if not handled correctly. If you are ready to get started, request a free walk-through.